Amazon is investigating claims that its employees accepted bribes in exchange for leaking confidential sales data. 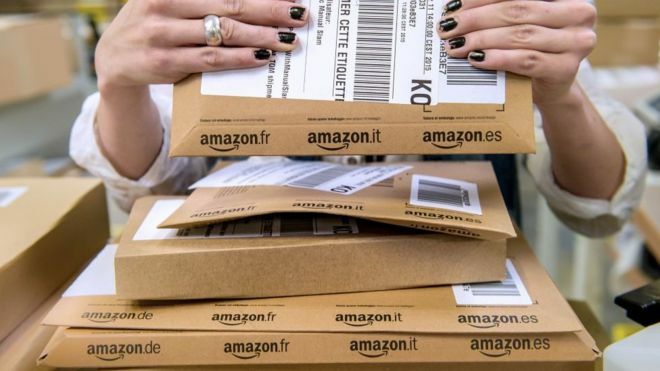 Independent sellers were also allowed to delete negative reviews and restore banned accounts for payments of between $80 (£61; €69) and $2,000, according to allegations in the Wall Street Journal, BBC reported. The Journal said the practice was particularly "pronounced in China". Amazon said it had "zero tolerance" for abuse of its systems and that it was conducting a "through investigation". "We hold our employees to a high ethical standard and anyone in violation of our Code faces discipline, including termination and potential legal and criminal penalties," an Amazon spokesperson said. They added that the company would also take "swift action" against sellers on its site who had "engaged in this behaviour... including terminating their selling accounts, deleting reviews, withholding funds, and taking legal action". The Journal said the practice was particularly "pronounced in China". Amazon said it had "zero tolerance" for abuse of its systems and that it was conducting a "through investigation".